There are four main talking points for advocates to share on social media and in their phone calls. While the issue can be very complex, the talking points are designed to be clear statements in order to allow you, your colleagues and your network to feel comfortable showing your support for this legislation during your calls to Congressional offices. Studies show that 730 thousand Seniors on Medicare are at risk for opioid addiction. The incidence of alcohol abuse among the elderly has doubled. Unfortunately though, there’s a shortage of mental health and substance abuse providers in the Medicare system to help these seniors at risk. The Seniors Mental Health Access Improvement Act would expand the availability of cost-effective providers under Medicare to help treat these Seniors and address the opioid epidemic. Help keep our advocacy efforts strong by donating to AMHCA. Your donation goes a long way in helping us maximize our efforts as well as sustaining and improving our array of member benefits. Donate now and join our causeto enhance the profession of clinical mental health counseling through advocacy, education and collaboration. In July AMHCA sponsored a Capitol Hill Briefing entitled "Access to Mental Health Care in Rural America: A Crisis in the Making for Seniors and People with Disabilities." The covered mental health professionals recognized by Medicare presently include psychiatrists, psychologists, mental health clinical nurse specialists, and clinical social workers. 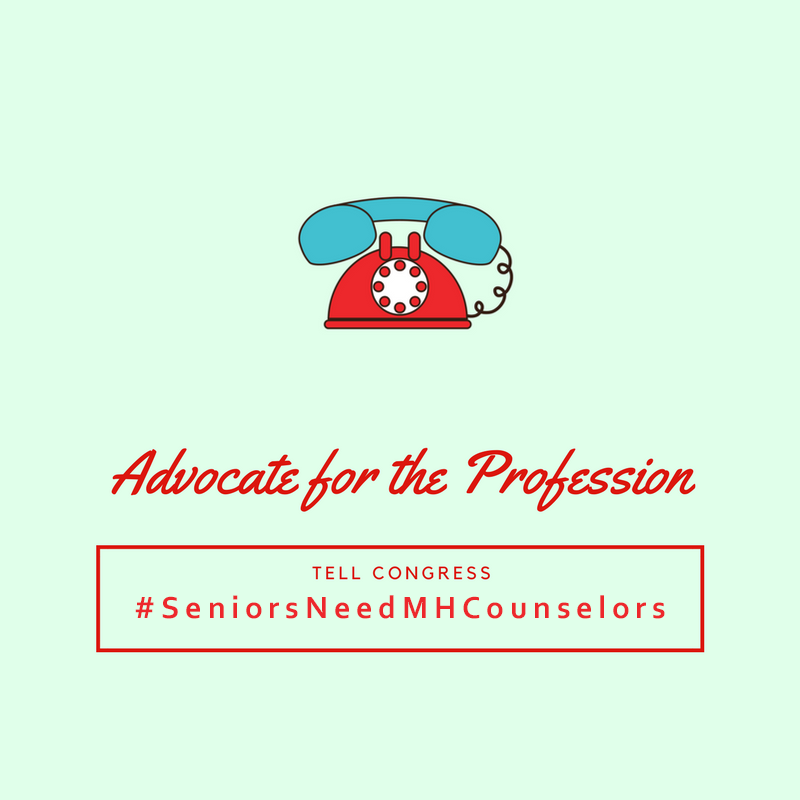 Mental health counselors are not listed as Medicare-covered providers despite the fact that licensed mental health counselors have education, training, and practice rights equivalent to or greater than existing covered providers.